The iSaddle Duetto System is Duplo’s combined sheet feeding and collating saddle stitching system. 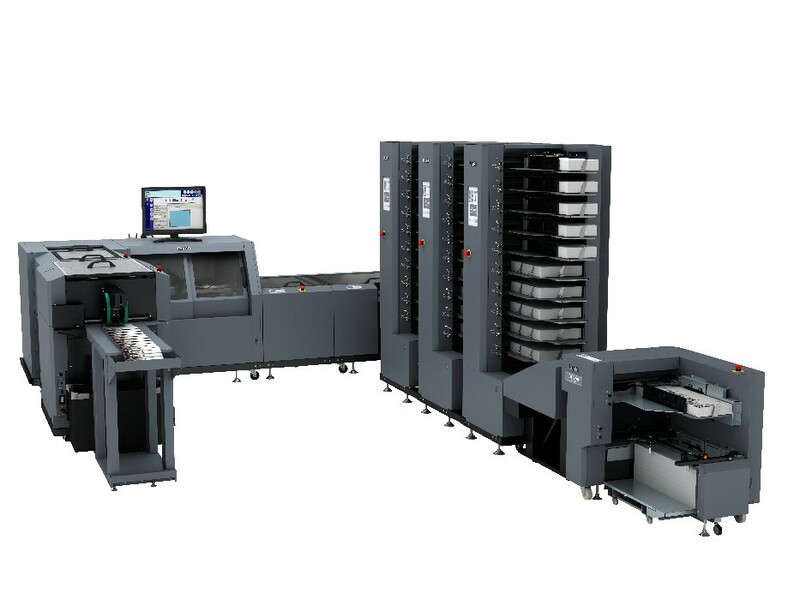 Designed to handle both traditional offset work as well as shorter-run digital jobs with equal ease and efficiency, the fully automated iSaddle offers state-of-the-art scoring and folding technology of the highest quality to produce thicker, flatter booklets up to 4,500 booklets an hour. The ability of the iSaddle to accept documents set-by-set or sheet-by-sheet enables it to receive output from the DSC-10/60i Collator and the DSF-2200 Sheet Feeder. The DSF-2200 comes loaded with a number of high-end features including Duplo’s own belt suction feed system, front and side air separation, an anti-static device and ultrasonic double feed detection for enhanced feed reliability. It feeds increased paper sizes up to 14″ x 20″ (or 9.05″ x 24″ via the optional Extension Tray Kit) and offers a variety of options including a trail edge air kit, pre-loading kit, and 1D & 2D barcode readers. The DSC-10/60i’s unique 8-belt air suction feed system along with an Air Management System make it the most reliable collator in the industry. Incorporating Duplo’s patented dual fan technology, each bin comes equipped with two individual fans – one to produce a stable flow of air for separation and the other to generate consistent suction for feeding.